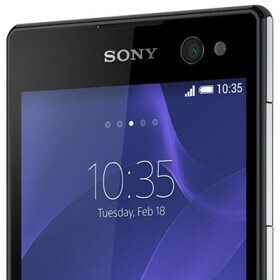 Earlier this month, Sony suggested that only its Xperia Z devices would be updated to Android Lollipop, without saying anything about handsets like the Xperia E3, Xperia C3, Xperia M2, Xperia T3, Xperia T2 Ultra, and so on. Fortunately, some of these smartphones will get Lollipop after all. Sony today confirmed that the Xperia C3 and Xperia T2 Ultra would be updated to Android 5.0, though for now it can't give us exact release dates. Available since last year, both the Xperia C3 and Xperia T2 Ultra are mid-range devices that feature Snapdragon 400 processors and 1 GB of RAM, so we are hoping that other similar Xperias will also get Lollipop at some point. As you may know, Sony already started to push Android Lollipop updates to the Xperia Z3, Xperia Z3 Compact, Xperia Z3 Tablet Compact, and Xperia Z2. The Xperia Z2 Tablet is also ready for the update (Sony says that it should get it starting next week). If you want to see what an Xperia running Android 5.0 Lollipop looks like next to an Xperia running Android 4.4 KitKat, check out this post. Oh yes please, I hate the UI on KitKat, let's hope they don't ruin the camera. I know how you feel. I threw NOVA Launcher on my T2 after 2 days. Just when I had finally left HTC because they NEVER (or were slower than malaises)updated their phones & went to Sony. They broke my heart saying My T2 wouldn't be updated. Now I can almost rest easy. Though I'm going Motorola, & their terrible camera, next time around.